At the Q2 2012 earnings conference of BlackBerry, Jim Balsille has confirmed that the BlackBerry PlayBook will be getting some important updates but not before the DevCon conference in October. This would be the version 2.0 of the PlayBook software and will bring in key features like native email, contacts and calendar. With these updates, PlayBook will also gain the ability to run Android apps through the Android App Player, but this feature may come very well after the other upgrades. RIM had showed off most of these features back at BlackBerry World in May, but it had not revealed when they would be available. The BlackBerry Video Store will also be introduced which will allow access to over 10k movies and TV shows on the PlayBook with ability to stream via HDMI on your TV. 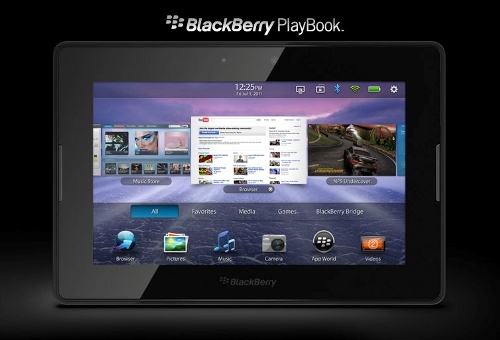 RIM has said that only 200,000 PlayBooks were shipped in the second quarter of its 2012 fiscal year, and did not predict anything for the third quarter. The BlackBerry DevCon is from October 18 to 20, so we would not expect the updates to show up until the end of the month and an exact date is still not available.